There’s a blood drive in your area! You, being the model citizen that you are, have decided to stop by the drive and donate some of your blood. After all, it’s a great cause. Donating one pint of blood can save up to three lives. Plus, they give you free juice, cookies, and a sticker. It’s win-win! But as you’re about to head out the door, it suddenly hits you that you took multiple hits from your bong earlier today. In fact, you’re about as regular a cannabis smoker as they come, and your blood is most likely chock full of THC. There’s no way they’re going to let you donate! Nope, that’s not a misprint. Cannabis users can donate blood! There’s no actual danger that a donor recipient can get a “contact high” from your marijuana-infused blood, so you’re in the clear! Many other blood donation organizations have a similar policy. As long as you’re not sick, you’ll be permitted to donate. However, if you show up at a donation site and you’re visibly intoxicated, you’ll likely be turned away. If you know beforehand that there’s a blood drive scheduled in your area, try not to consume any pot until after you’ve donated blood. If you don’t smoke that often, you can expect cannabis to stay in your blood up to two days after a single use. If you’re a regular smoker, expect it to remain in your system up to seven days. Either way, you’re still in good shape to donate as long as you aren’t visibly high. In the wake of natural disasters, such as the recent Hurricane Harvey, there is almost always a huge need for emergency transfusions. Unfortunately, many blood banks and scheduled blood drives in Texas had to close because of the hurricane, and now donations are being requested from all over the country. 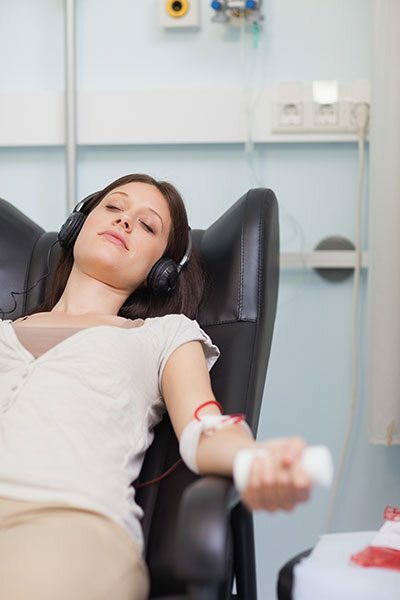 If you’re a regular cannabis user, don’t let that dissuade you from donating blood. The American Red Cross and other organizations are absolutely fine with it, and you should be too! Who knows? Your blood might just help save some lives!